This is a bilingual, educational website from Munich, Germany. 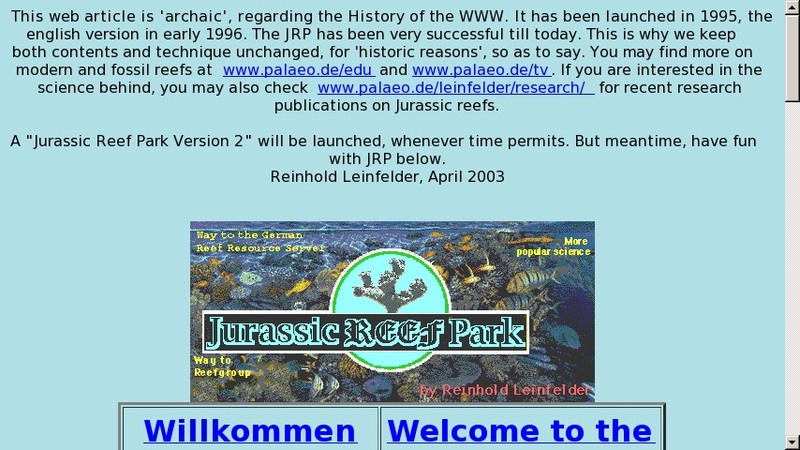 The main feature is a virtual field trip to the reefs of the Jurassic period. Besides a view of the Jurassic reefs, their builders, and their ecological settings, there is also an emphasis on the importance of modern reefs as indicators of the state-of-health of the globe and evidence of how some changes in the composition of reefs may represent the forerunners of catastrophic, regional or global, environmental change.